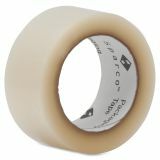 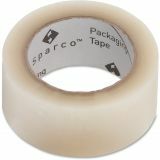 Sparco Strong 2" Packing Tape - Strong, general-purpose, hot-melt tape fits most dispensers made for 3 core tapes.  Design resists moisture, abrasion and splitting. Transparent tape also offers a 1.9 mil thickness."